May 18th, 2017 | News and Events, Wheaton World Wide Moving. JACKSONVILLE, Fla. ─ 1st Choice Movers recently signed with Wheaton World Wide Moving’s network of more than 200 agents across the country. Previously an agent for Stevens Worldwide Van Lines, 1st Choice serves the Jacksonville, Fla., market. Owners Alma and Jawad Hasanbegovic worked in the moving industry before starting their own business in 1996. More than 20 years later, 1st Choice has grown to 18 experienced employees and offers 20,000 square feet of warehouse space with overnight parking available to drivers. The company handles all aspects of relocation from packing, loading, and transportation of household goods for individuals and their families – both locally and long distance – to corporate relocation of employees for large corporations. 1st Choice is well known throughout the area for their outstanding customer service. The company has earned an A+ Rating with the Better Business Bureau. 1st Choice also has years of experience with furniture store delivery, offering assembly and removal of packing materials. 1st Choice is located at 8230 Baycenter Rd., Jacksonville, FL 32256. They can be reached at 904-731-7223. 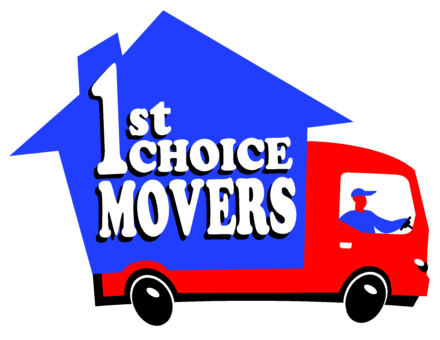 1st Choice can be found online at www.wemovejax.com. Wheaton Van Lines, Inc. is one of the world’s most highly regarded providers of transportation services. Wheaton Van Lines owns three household goods relocation brands, Wheaton World Wide Moving, Bekins Van Lines and Clark & Reid. The van line is the fourth largest household goods carrier. Headquartered in Indianapolis, Ind., the Wheaton, Bekins and Clark & Reid brands offer private and corporate domestic and international household goods relocation services as well as special commodities and logistic services. The United States Military is also one of the company’s largest customers. Wheaton Van Lines, Inc. is a partner to approximately 340 Wheaton, Bekins and Clark & Reid agents nationwide. To learn more, visit www.wheatonworldwide.com, www.bekins.com, or www.clarkreid.com.